So, KDDI and NTT DoCoMo went off the rails today and unveiled 20 new phones between them but there’s really nothing much to write home about. As usual, we get a bunch of clamshells with not much originality to speak of, however two of the pack do manage to stand out. 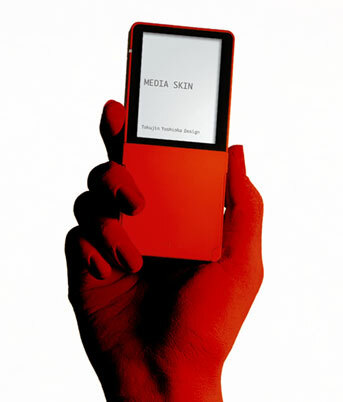 Most esthetically pleasing is the Media Skin (above) on KDDI’s au marque. It’s still a pretty basic phone (well, by local standards) but it is at least properly designed with a view to form over functionality. 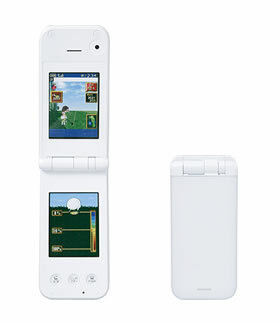 The other interesting, albeit ugly, phone is DoCoMo’s D800iDS (below), which apes the Nintendo DS by having dual screens, one of which is touch sensitive. It’s a brave move to drop the traditional number pad altogether, so it’ll be interesting to see how this one pans out. The only other similar phone I can recall is this one from Sony Ericsson, although that retained the keypad of course. Lastly, DoCoMo couldn’t resist trying to bamboozle its customers with numbers  something most electronics companies just love to do. This time it claimed that two of its phones are the thinnest 3G clamshells in the world. Sure, the N903iμ and P903iμ are 11.4mm thick, but who cares? Samsung’s Ultra Edition 9.9 is just 9.9mm and is definitely a clamshell too, but is a humble 2G-er. Oh come on  get a life guys.